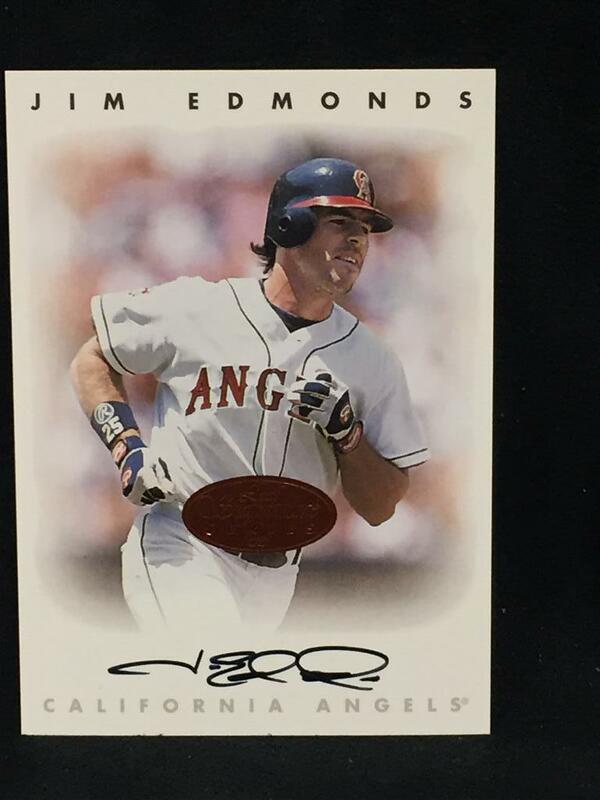 1996 Leaf certified autograph card of former Angels All-Star outfielder Jim Edmonds. With certificate of authenticity from AutographsForSale.com. ONLY ONE AVAILABLE FOR SALE.